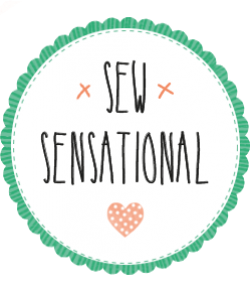 Satin Pyjamas for White Tree Fabrics + 20% off code! 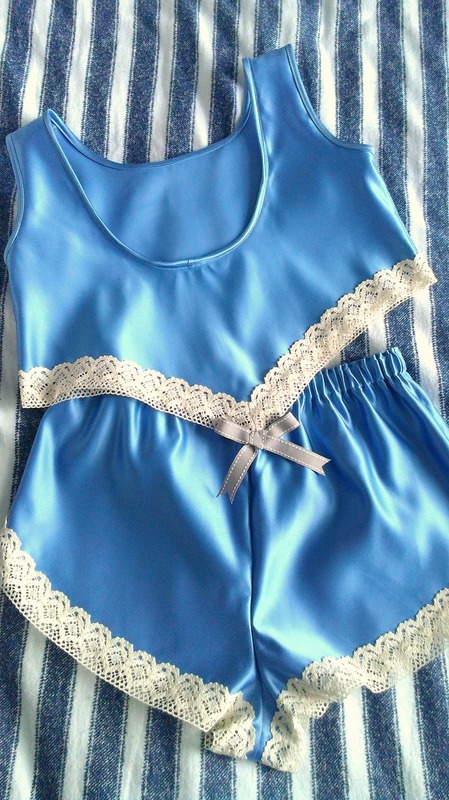 The pattern I used for my pyjamas is the Vogue V7837 and is the same one that the lovely Simon used on the series 2 of the Great British Sewing Bee for the silk nightgown he made (click here for a reminder!). I chose to make view D, which is the shorts and cropped camisole top, with a lace trim and a bow at the back. What could be easier than that?! My fabric choice is a lovely, cornflower-blue duchess satin, which you can find on the White Tree Fabrics website here for just short of £9/metre. And now here’s the amazing part – you can get 20% off and FREE DELIVERY using my unique discount code! That brings this fabric down to £7/metre which is just a bit silly to miss out on to be honest. The pattern itself was easy enough to follow but there are are an awful lot of skills involved, ie sewing a channel, inserting elastic, attaching lace, mitring the lace at the points, neck and arm binding…nothing that I’ve not done before but definitely something that it’s worth taking your time over. The satin is quite thick too and, although lovely to sew with, can get quite bulky when sewing seams and binding, so make sure you do lots of clipping! 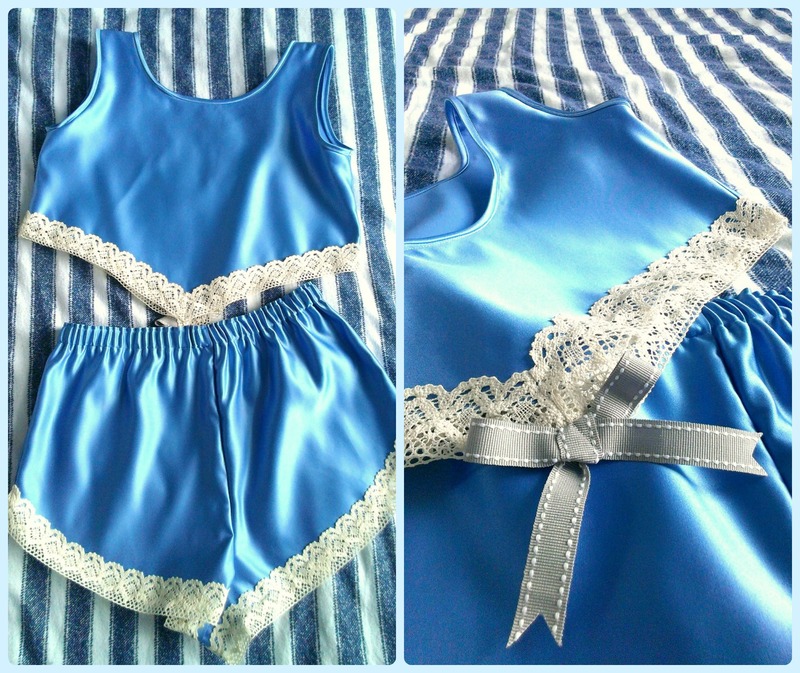 What do you think to my finished summer satin PJs? They fit and feel comfy to wear but I’m not sure I’ll get around to wearing them very frequently… they’re a bit different from my usual cotton 2-pieces! Wow! Well done. These are fabulous! thank you! fabulous is definitely the right word for these! Wow! These are so slinky looking! I love the colour (I bet it suits you perfectly!) & I’m super impressed by how professional they look! Gorgeous!